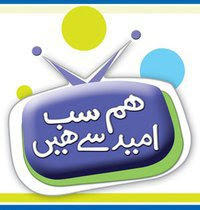 Welcome to Hum Sab Umeed Say HAin's blog. Politicians take up more time of our days than our friends and families. Hence, they remain a major part of our gossips, chit chat and the laughing stock. This sitcom is based on the socio-political scenario of Pakistan. In addition to other characters, each episode has a guest mocking an international or national politician. With its sugar-coated discussions in interviews with these mocked politicians this program aims to bring out the reality. Furthermore the various colors of the political personalities, with their views about the local and international political arena. From tasteful humor to self-ragging analysis, the show has many elements to it with an emphasis on cutting caustic moods. It is like a mirror on the wall that reflects our real faces – humorous, dumb or witty, all depending upon the objective we are gazing at i.e. comic relief. Thanks to visit us. For comments and suggestions write us at "hum.sab.umeed.say.hain@gmail.com"